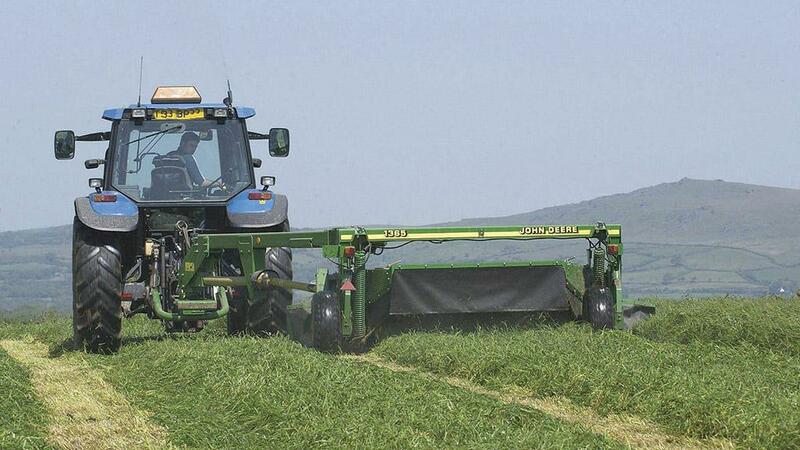 A recent survey of more than 150 UK dairy farmers by forage preservation and animal nutrition experts Volac, and forage seed experts Germinal, found 60% had already brought their fi rst-cut date earlier in the past three years, and 44% had shortened cutting intervals. Among those already taking more silage cuts per year, or intending to, 71% said this was to make better quality silage, 68% said it was to make more milk from grass silage, and 65% said it was to reduce bought-in feed costs. While the system may not suit every farm, it can provide real benefi ts, agree independent silage consultant Dr David Davies and Volac silage microbiologist Philip Jones, but it is important to follow the correct steps to produce it. Apart from the obvious benefit of younger cut grass being more digestible from being more leafy and less stemmy, and therefore having the potential to provide more metabolisable energy for milk production, Dr Davies says it also offers other advantages. For a start, protein is likely to be higher, he says, and silage which is more digestible will not spend as long in the rumen, so cows can eat more of it, allowing forage intakes to improve. Additionally, frequent cutting can give a better total grass yield over the season, he says, while a hidden benefi t for milk yield could come from grass being at a more uniform growth stage when cut earlier, resulting in less variability in the clamp and, therefore, in the daily ration. ONE of the key points with multi-cut at feeding, says Dr Davies, is to be mindful of the extra protein it can deliver. Also, there is a slight risk there could be higher nitrate content in silage because it is cut sooner. Dr Davies says: “Protein may be higher than you think. If you feed excess protein, it is shipped out of the animal in urea, which takes energy, and fertility can drop. “High nitrates in silage and, therefore, in the cow, could be exacer- bated if feeding urea-treated cereal.” In response, Dr Davies advises having a wet silage analysis con- ducted, so protein levels in the ration can be accurately balanced. Also, although less stem mat- erial can help with consolidation, it can mean extra fi bre has to be added to the ration with multi-cut silage, says Mr Jones, but fi bre is relatively cheap. Next Article Ever thought about turning your farm into a wedding venue?